Mark A. Hanley - Mediator & Arbitrator based in Tampa, Florida. Please click your preferred available date to submit a request. Your Appointment Form will be sent to Mark's assistant, Dore Mills. Mark has practiced labor relations and employment law since 1982. He has extensive experience in litigating class action and single plaintiff suits brought under Title VII of the Civil Rights Act of 1964, the Florida Civil Rights Act of 1992, the Fair Labor Standards Act, the Americans with Disabilities Act, the Family and Medical Leave Act, and the Age Discrimination in Employment Act. He also handles whistleblower and retaliation claims. Mark is a frequent lecturer on a local, state, and national level on all areas of labor and employment law. He has also helped author numerous articles on labor and employment law. He is an adjunct professor at Stetson University College of Law, teaching the Advanced Employment Discrimination Seminar. 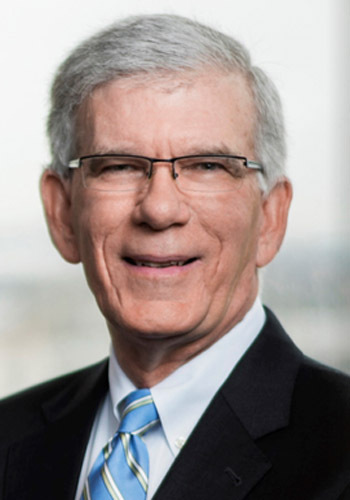 Mark has served as Chairman of several local bar committees, including the Thirteenth Judicial Circuit Fee Arbitration Committee, 13-F Grievance Committee and Litigation and Alternative Dispute Resolution Committee.